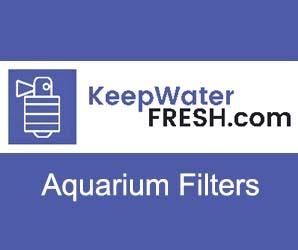 The advantage of introducing algae eating fish to your aquarium is so they’ll feed on all the algae in the aquarium helping keep it clean. Algae is a menace because it denies food nutrients and carbon dioxide to fish and aquarium plants. 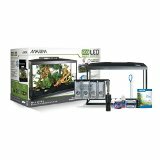 It’s the aim of every aquarist to own a clean, fresh, and healthy aquarium. An appealing and welcome addition to your home. There are a variety of algae eaters to help us achieve a healthy, balanced fish tank and among them are algae eating fish. These are 6 of the best algae eating fish you can introduce to your aquarium. The best small algae eating fish. This actually is the best type of algae eating fish you can keep. If you have a small aquarium, without a doubt this is the perfect algae eating fish to have. These are tiny, cute and inexpensive South American algae eaters and they work communally. They are very peaceful though they need some attention because they do not feed on all the algae, especially the black algae. These fish only feed on green algae and when the algae is depleted they begin to starve. Therefore you need to constantly check on their bellies. If the bellies are shrinking, you need to start feeding them using cucumber or zucchini. *If feeding cucumber or zucchini you’ll need to put it in a microwave for about 25 seconds. Among other algae eating fish, this is a special kind which feeds on the black algae. Most of the algae eating fish are known to feed on other algae like the green and the brown algae. So, if you have black algae in your aquarium, Siamese fish are your best option. Originating from Florida this is another special type of algae eater known to feed on hair algae. You can introduce this temperate and hardy fish into your weedy tank and within a short period of time, your aquarium will be cleaned up. Also known as drab, most people think these algae eating fish are ugly – that’s not nice. However, there are new additions to this species like Garra flavatra and Panda garra. This fish mostly prefers to feed on algae on rocks. So, if you have rocks in your aquarium infested with algae, then this species should be your new best friend. This algae eating fish has also been called ugly, but I think they are really cute. These can be quite costly, however they do their job. They grow up to 5 inches and they love to stay in dark places. You cannot easily spot them during the day. Just like other algae eaters, they also need to be fed occasionally to make sure that they’re always strong and up to their task. 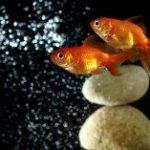 These are the advantages of introducing algae eating fish to your aquarium. Check out this adorable video we found. It shows Odessa Barbs, American-Flag Fish and Siamese Algae eating fish. More info on algae eaters is available in the article on this link. What Are The Different Types Of Pond Algae?